Our buildings have been constructed from natural rock with thatched roofs creating a pleasant atmosphere - cool in summer and warm in winter. 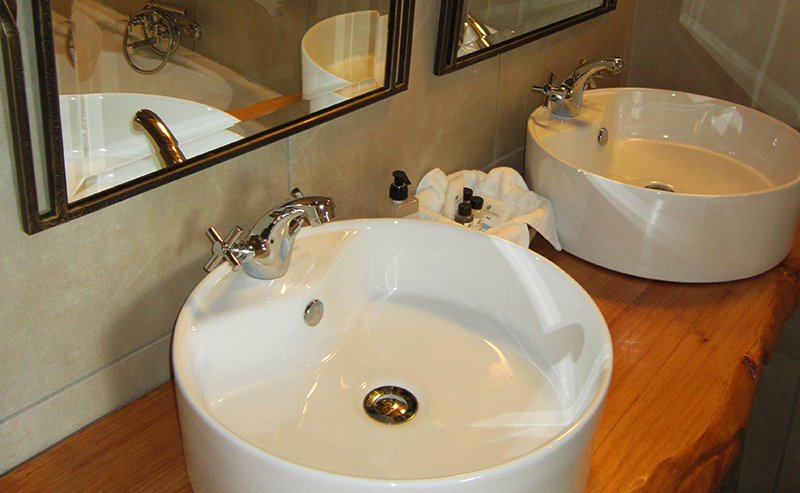 All rooms are en-suite, and are four+ star rated average by our customers. 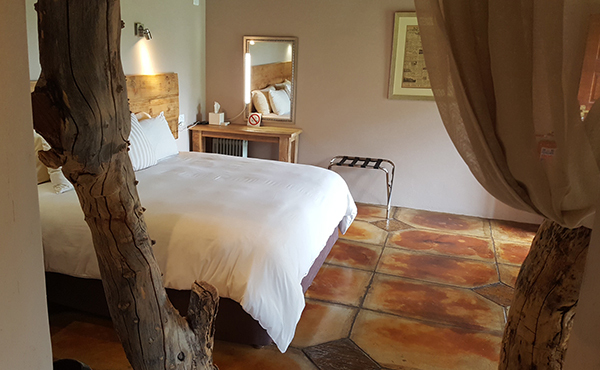 Woodlands Game Lodge has 12 double rooms, (plus 10 at the Bush Lodge) with a capacity for up to 44 people sharing or 22 single. Please note that there are no self-catering facilities or braai facilities. Rooms are non smoking rooms – smoking only allowed outside and on patios. We offer secure parking and a security guard on duty through the night. 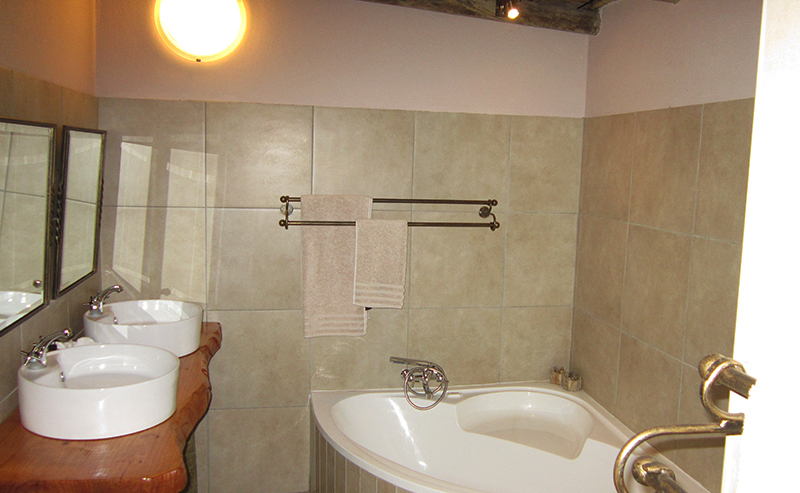 All rooms have baths installed, except the loft rooms and wheelchair friendly rooms, that has showers. Hair drier and shampoo, conditioner, hand cream, etc. 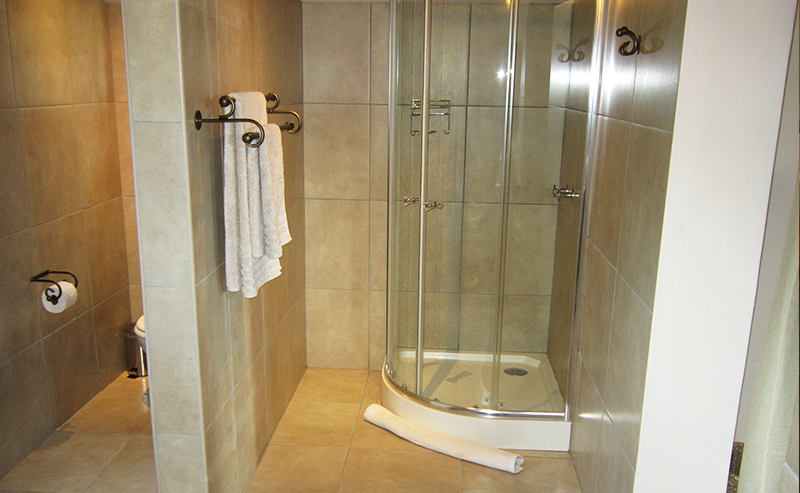 En-suite bathrooms, include showers in all rooms, toilet, basin. 1 x Wheelchair friendly double room available. 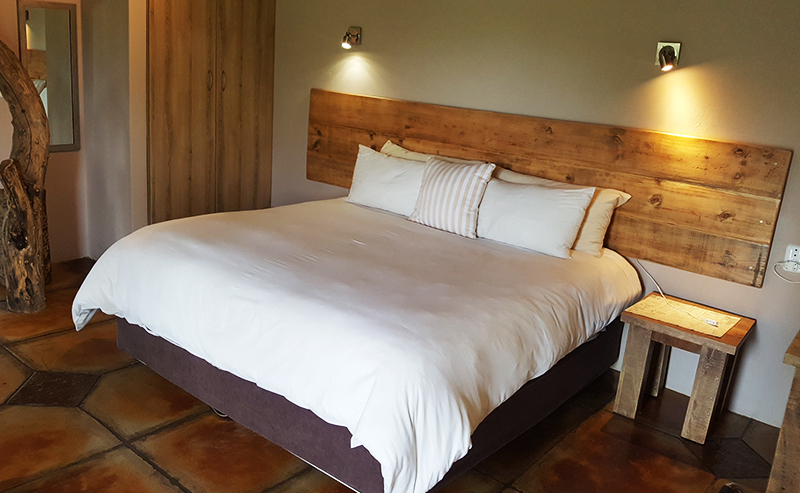 This room has all the facilities required for disabled visitors, with an open indoor shower, king-size bed and dedicated parking next to the chalet. For all accommodation requirements and pricing, please contact us for a quotation. Pricing may vary depending on the time of year, function, and number of people booking.